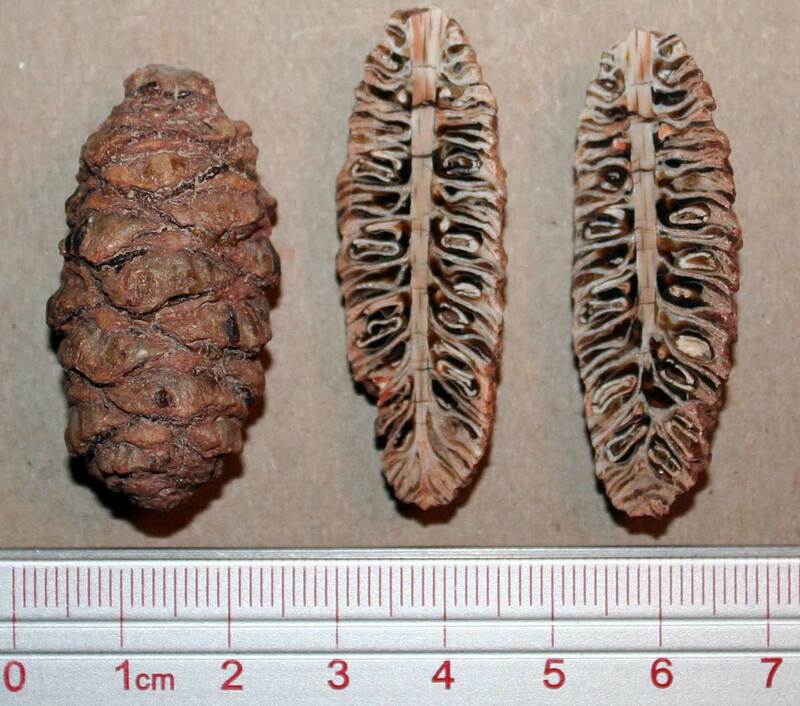 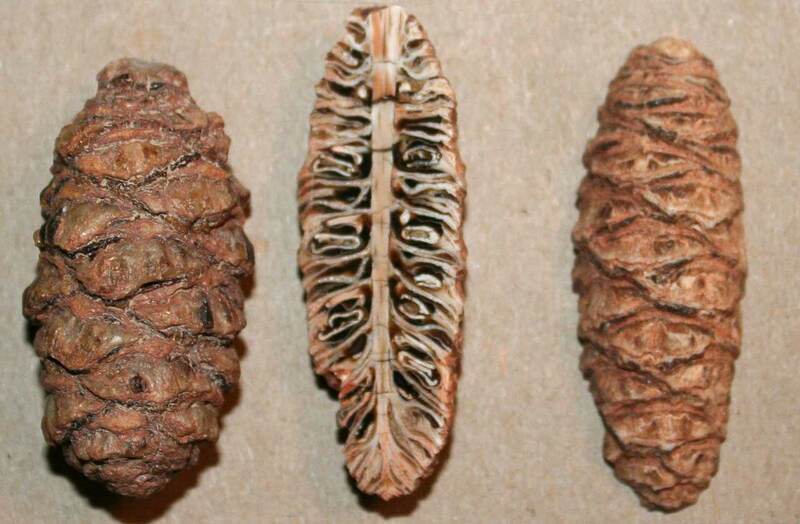 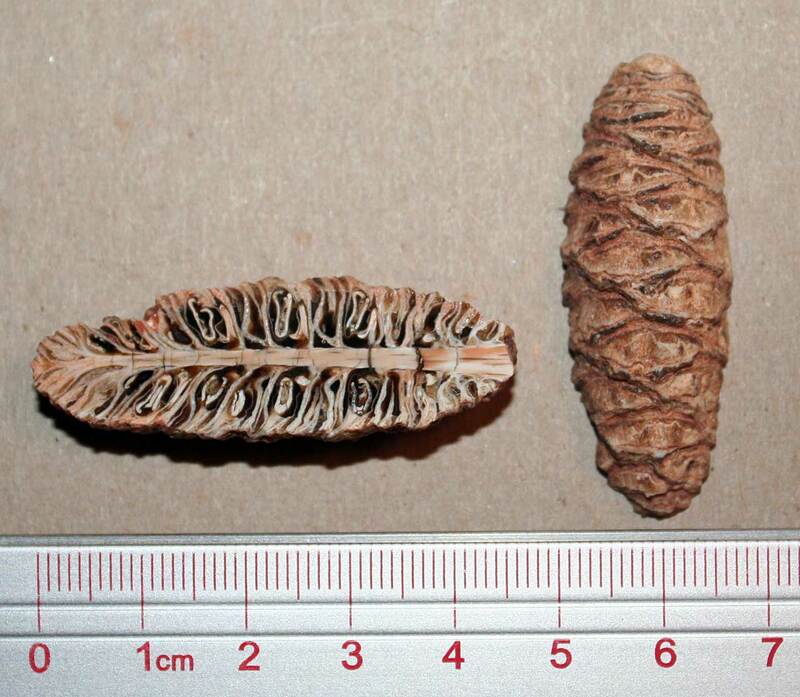 These plant fossils are very interesting showing conifer cones of the Pararaucaria patagonica. 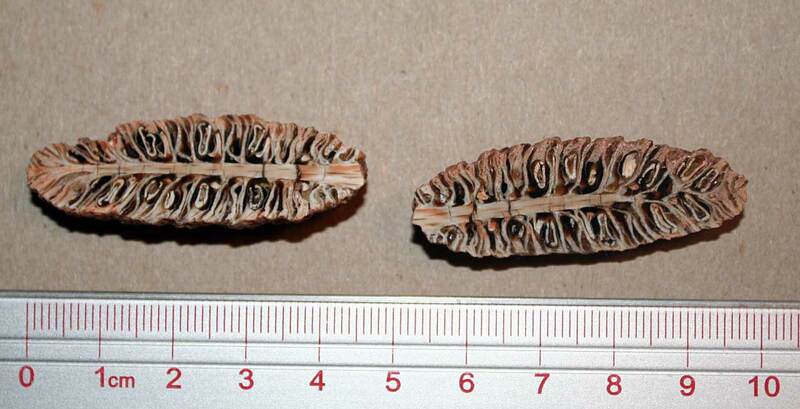 These plants existed in the Middle Jurassic (Callovian - 160 million years ago). 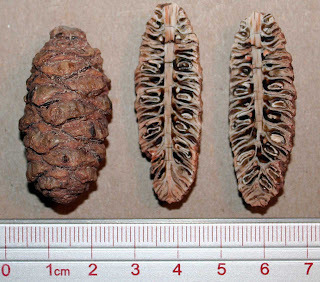 Fossils found in the Santa Cruz Province of Argentina. 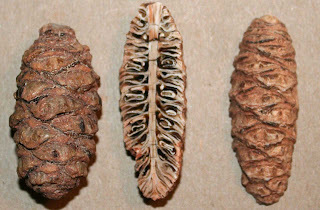 One of the cones has been cut in two and its flat sides are polished. 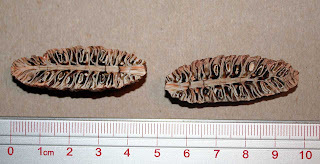 Thanks to Mark Palatas for letting me photograph these specimens in his collection.